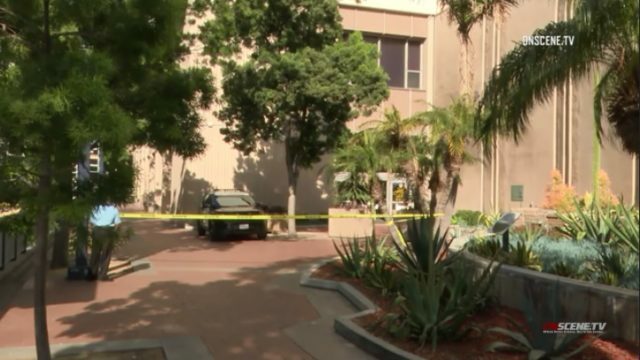 A suspicious-looking package found near a downtown San Diego intersection Monday morning prompted a brief evacuation of City Hall, but ultimately was determined to be harmless. Photo via OnScene.TV. A suspicious-looking package found near a downtown San Diego intersection Monday morning prompted a brief evacuation of City Hall, but ultimately was determined to be harmless, authorities said. A man was detained for questioning near the scene, but it was not immediately clear if he was ultimately arrested, Hernandez said.